With the mornings starting off cool here in Manitoba it can only mean one thing, great fishing is upon us! This trip found me making the five hour trek from Grand Rapids, MN to central Manitoba on the Saskatchewan River at the mouth of Lake Winnipeg. With a 1a.m. departure time it was looking like we would get the morning bite in, and boy did we ever! What’s unique about this region is there’s no live minnows allowed. 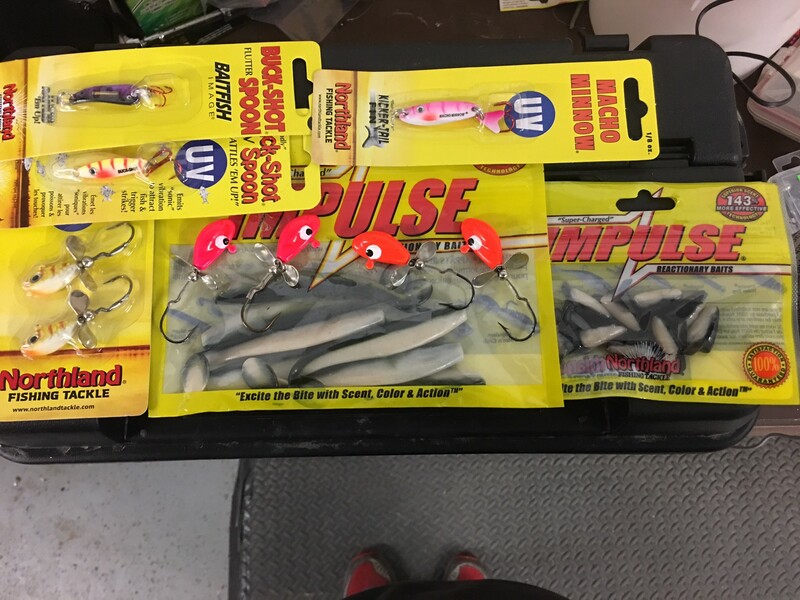 I was equipped with Northland Tackles Impulse® Reactionary Baits using the 3.5″ Paddle Minnow in the emerald shiner color and the 1″ Minnow Head tipped on my personal favorite 3/8oz Whistler Jig®. Also in my arsenal was the Buck-Shot® Flutter Spoon, Buck-Shot® UV Spoon and the Macho Minnow® Spoon. It wasn’t five minutes into the first cast when the first walleye was landed in the boat. After several hours of fishing we decided to have a well-deserved shore lunch. Little did we know the afternoon bite would surpass the morning bite. With some minor tweaking and switching over to the Northland RZ Jig I managed to keep the bite aggressive. With several freshwater drum, sauger and well over 300 walleye’s landed it was time to make the long journey home. Thanks to Northland Tackle for producing and supplying tackle that truly works in every fishing condition. Till the next adventure, tight lines!